It was two years ago this week that ultrarunning lost one of its great ones. John Morelock, author of the 2013 book Run Gently Out There: Trials, Trails, and Tribulations of Running Ultramarathons, passed away on February 5, 2017. He was 74. A talented runner and writer for over three decades, John inspired a generation of ultrarunners with his monthly column which ran for six years in UltraRunning magazine. Known for his love of nature and his passion for his beloved Pacific Northwest, John had a soul that was as deep and rich as his home soil of Whidbey Island, Washington. I first got to know John as a newbie ultrarunner in about 1993. Around then and long before the advent of Facebook, Twitter, and iRunFar, the epicenter of the ultrarunning online universe was the ULTRA listserv. On this rudimentary email message board, people posted race reports, asked for advice, exchanged trail information, and even listed lottery results! There were several prolific posters on the ULTRA listerv who represented the elder statesmen of the sport. Guys like Stan Jensen, Gary Cantrell, Al Howie, Matt Mahoney, Dan Baglione, and John Medinger regularly shared wisdom and expertise to the hungry newbie masses like me. One of the most generous and frequent posters was John Morelock. Always concluding his comments with his signature tagline, ‘Run Gently Out There’ or ‘RGOT’ for those in the know, John was a level-headed presence on the sometimes contentious message board. Always willing to dispense advice to a rookie as well as to call out a cantankerous curmudgeon, John carried himself with an air of civility and genuine kindness which is all too rare. While it wasn’t until years later that I actually met John at a race out in Oregon, due to the resonance of his words, he felt to me like a dear old friend. This simple declaration, at once whimsical and true, was a perfect example of John Morelock’s grace. I have thought often of John over the two years since his passing and I really wish his voice was still here. At a time of ever-increasing polarization among people and groups and a seemingly endless string of often pointless arguments, I have to think that were John here now he would skillfully bring us back into a state of equilibrium and re-focus us on what often matters most, simply running gently out there. John Morelock’s island of Whidbey is home to a handful of small breweries that hold true to the United States Pacific Northwest tradition of small batch beers crafted with natural ingredients. 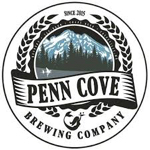 Penn Cove Brewing Company is one of the best on the island and their Madrona Way IPA is a slightly sweet, amber-colored IPA that tests the limits of the variety in a unique and creative way. Balanced and not overly hoppy, Madrona Way is, dare I say, a wonderfully gentle beer. Would you like to share a memory of running with John Morelock, chatting with him on the ULTRA listserv, reading his writing about nature and running, or something else? Leave a comment so that we can help carry our shared memory of him forward. While not the epicenter of the ultrarunning online universe anymore, the ultralist is still around. I regret that I never got to meet John in person, but we exchanged many emails over the years..about running, kids, where we lived and life in general. He was a wonderfully generous person and I miss him. John and I corresponded a lot but never met in person. He was one of the few people that had done some of the Canadian races, like the Jaspar to Banff Relay, that I had done. I’m originally a biologist and really liked that slant to his run descriptions. I also loved his selection of running related books. My personal favourite, read long before I started running was “Meditations from the Breakdown Lane” by James Shapiro. I think the first email exchange I ever had with him, started with discussing that book. I always thought the crazy ultrarunner from Saskatoon in John’s book was me. Although, there are more than a few, crazy runners from Saskatoon out there. Don’t tell me if it was someone else, I don’t want to know. I posted something on the ultralist years ago suggesting that I didn’t feel like an ultrarunner having only sone 50k’s and short fixed time events on my resume. Typically the tone on the ultralist sometimes minimizes anything below 50 miles. John emailed to assure me via email that 50k’s were indeed part of ultraworld and that I belonged. I certainly miss his contributions. I first met John at McDonald Forest, outside Corvallis, OR, where John worked, now so very long ago. What a gem of a human being: gentle, thoughtful, caring, helpful, knowledgeable, and always positive. We kept up our acquaintanceship over the years and would run into one-another occasionally at Northwest ultra races. We had planned to go for a daylong outing on Whidbey Island, about which he knew so very much, but I never made it. That failure has haunted me ever since he passed. Thanks for remembering him publicly. I was fortunate to run into John (literally) while he was working at Ebey for the WA State Parks back in 2013. He saw I had a bottle in my hand and asked how long I was out for, and the next thing you know we’re in a half-hour conversation about life/running/the park/WA/family/relationships/growing up on the island/etc. 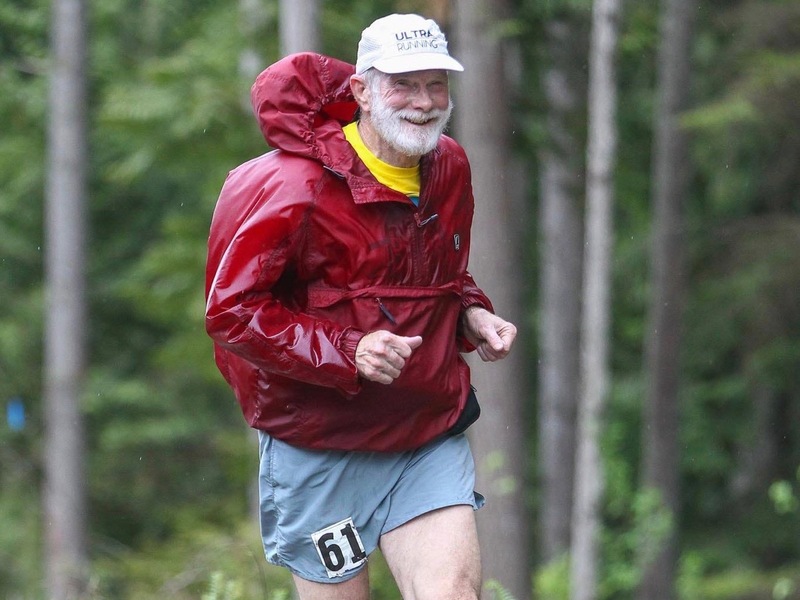 He had an effortless, permanent smile (Glenn’s photo is certainly ‘peak’ John), and was truly the epitome of a kind human being who simply loved running, nature, and didn’t strike me as having a judgemental bone in his body. Truly the type of runner I would aspire to be like as I move through life. Thanks for the kind remembrance, AJW. Really nice post and a lovely remembrance. I also experienced John’s wisdom on Ultralist. This followed onto RWOL and then RunningAhead where he was a regular poster and then onto FaceBook. My best lesson from John was to stop and take in the view once in a while. This has helped me on many runs when I wasn’t feeling great. Soaking in the scenery is what we refer to as a John M moment. Thank you AJW for this well written remembrance. Always looking for another great ‘ultra’ read, so I bought a copy of ‘RGOT’ after reading this! I recently read and greatly enjoyed John’s book ‘Run Gently Out There’ on recommendation of Ten Junk Miles podcast. It was a great read and I didn’t know while reading it that it’s author was no longer running amongst us. Thanks for this remembrance! Oh man, I miss that guy. I knew John from the ultra list and RWOL. I was not the only one who became his friend through his words, his thoughts, his deep love of the sport. He mentored many of us. He was unfailingly generous with his knowledge and time in helping everyone and anyone on their journeys. I, too, miss his grounded sensible voice. I have a large file on my computer of notes he wrote to me, filled with invaluable advice, fiddling, asking, helping me to tear apart my “engine” and figure out what wasn’t working. Mostly I miss just knowing he was there, if ever I needed a gentle or not so gentle reminder about something,….or needed a hearty bread recipe. 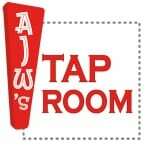 Thank you, AJW, for the tribute and for the reminder.